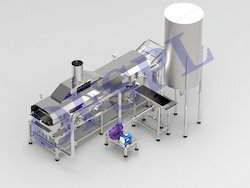 Keeping in sync with the times, we are engaged in manufacturing, trading and exporting Food Processing Machines. The range offered by us consists of Potato Chips Line, Banana Chips Line, Nut Processing Line, Pellet Frying Line, Pellets Manufacturing Line, Extruded Snacks Line and many more to name. Manufactured by using high quality material, modern machines and following the established norms of the industry, these products are acknowledged for their least maintenance, longer service life, robustness and accurate dimensions. 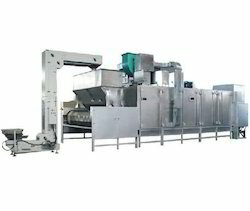 Our Potato Chips Plant automates the critical areas of frying and seasoning of potato chips whereas the peeling, slicing and drying process are run semi-automated. We aim at reducing your initial setup cost of the plant. 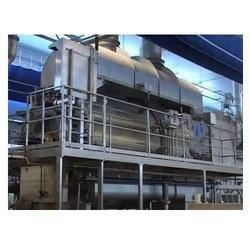 In economical budget you have a completely functional plant ready for production. Owing to our rich industry experience; we are manufacturing, supplying and exporting a wide array of Ethnic Snacks Line. We employ latest machines and advanced technology in the production process. These products are used by various snacks processing industries for different types of cheese balls, bhujia, chips, puffs, namkeen and roasted nuts. With thorough industry knowledge, we are engaged in manufacturing, supplying and exporting a wide range of Namkeen Making Machine. Superior quality components and spare parts are used to manufacture these machines following industry set guidelines. These products are inspected by quality controllers on certain well-defined parameters in order to rule out every possibility of defect. Moreover, we offer these products in various specifications. We are the leading manufacturers of Potato Chips Making Machine being provided to our customers using supreme quality material and manpower. 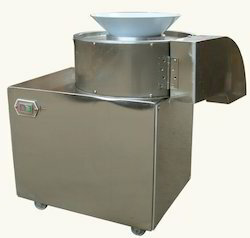 Automatic Nut Roaster offered can be made available by us i different operating configurations so as to perfectly match up with the specific working needs of the customers. 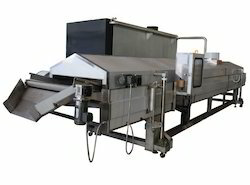 Further, the machinery perfectly supports the demands of drying and roasting of different types of nuts and seeds as per the process requirements of the customers. 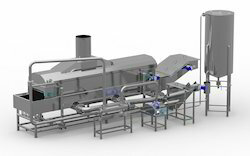 Some of its features include use of electricity or gas as heating source; rotary drum based functioning; working based in heat conduction/heat radiation as principle; assure of even heating and superior roasting results; suitable for mass drying production; adjustable speed controlling system and automatic temperature controlling system. We are a renowned organization that is engaged in manufacturing, supplying and exporting a vast array of Banana Chips Lines. The range offered by us is manufactured using excellent quality material and components that are sourced from reliable and trustworthy vendors of market. To cater to the diverse requirements of clients; we offer these products in various sizes and specifications. Starting from 500kg/hr we provide a large variety of Industrial Cereal Roasters depending upon the capacity and automation of the equipment. 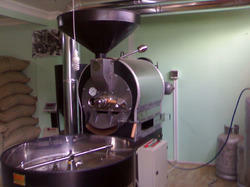 Our cereal roasters can provide the Benchmark in Cereal Roasting/processing industry. Our design collaborated with technology is successful in roasting breakfast cereals, in-shell cereals, grains and grams etc. Insulated housing to ensure minimum heat loss..
We are the leading manufacturers of Flavoring Drum being provided to our customers using supreme quality material and manpower. With the help of our experienced engineers, we are able to design and develop a broad spectrum of Pellets Manufacturing Lines. These products are fabricated at our state-of-the-art manufacturing facility employing latest machines and advanced technology. The material used in the manufacturing process is sourced from certified vendors of market. We are the leading manufacturers of Chips Making Plant being provided to our customers using supreme quality material and manpower. We are the leading manufacturers of Continuous Potato Chips Fryer being provided to our customers using supreme quality material and manpower. We are the leading manufacturers of French Fries Production Line being provided to our customers using supreme quality material and manpower. We have gained expertise in manufacturing, supplying and exporting a quality range of Nut Processing Line. 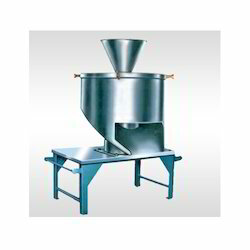 Manufactured using excellent quality material, these products are applicable in food processing industries. Post-production, these products are stringently inspected on certain parameters so a to ensure their flawlessness. 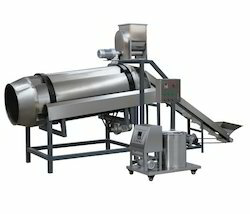 Our domain expertise has enabled us to come up with an excellent collection of Pellet Frying Line. These machines are fabricated under the close supervision of our experienced professionals using excellent quality material. 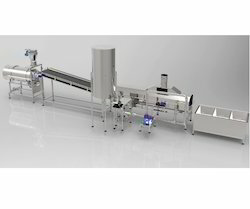 The range offered by us find applications in varied snack manufacturers' organization. Besides, we make sure that the consignments are timely delivered at clients' destination. Bought out items like motors, bearings etc. Driven by perfection, we are instrumental in manufacturing, supplying and exporting Potato Chips Line.Extensively used for producing the chips in variegated sizes and shapes, these machines are manufactured in compliance with industry set standards by using quality-approved material procured from the trusted vendors of the market. These machines are tested on different parameters, in order to ensure their flawlessness, before the final dispatch to the customers. Food grade belts and other accessories except bought out items like motors, bearings etc.